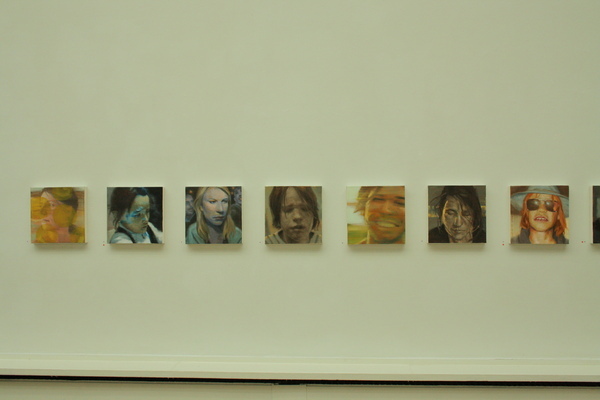 The start of the row of 30 x 30 cm face paintings, oil on canvas. 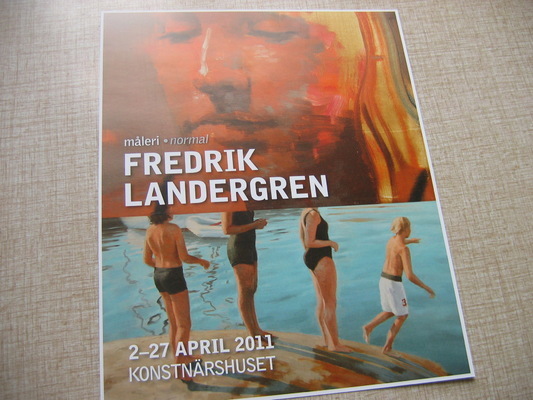 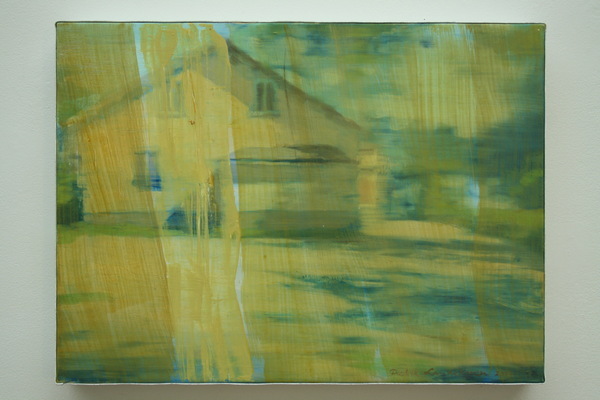 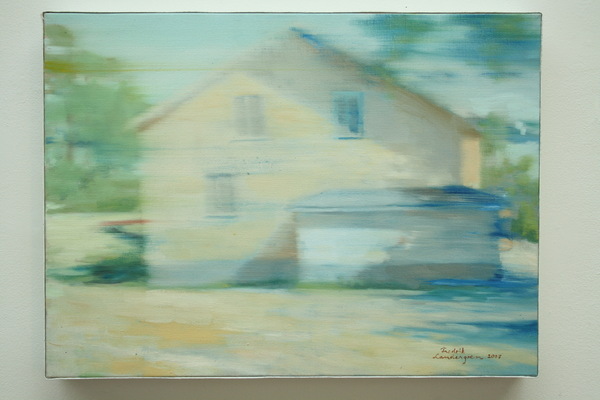 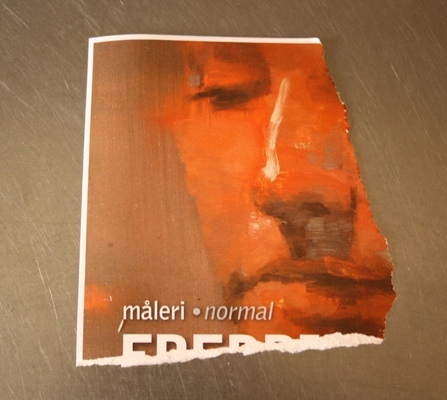 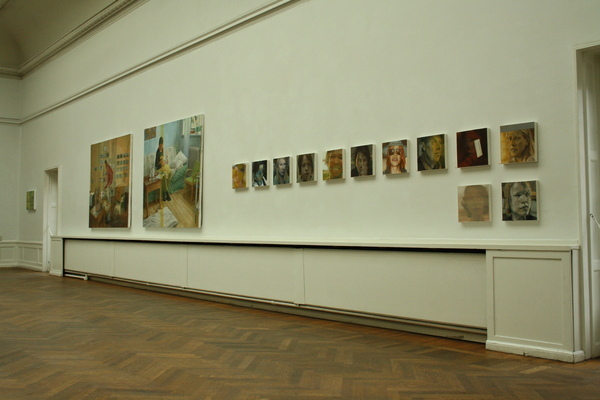 Part of the vernissage card. 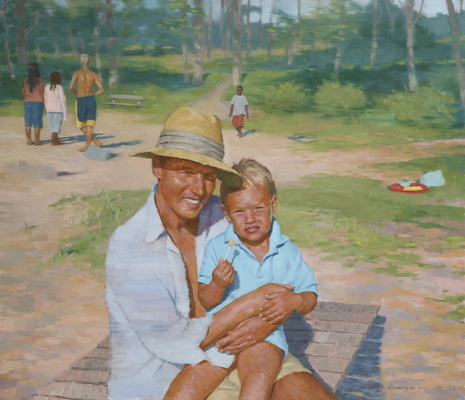 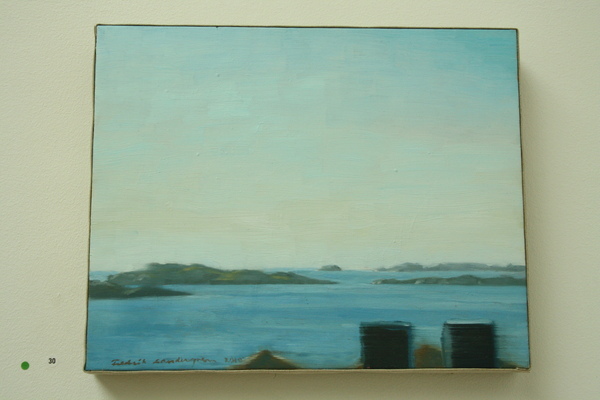 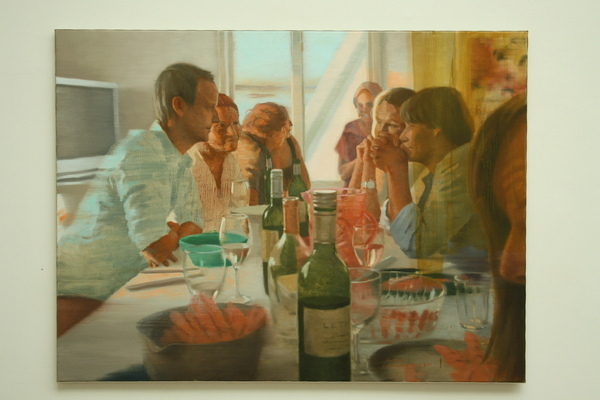 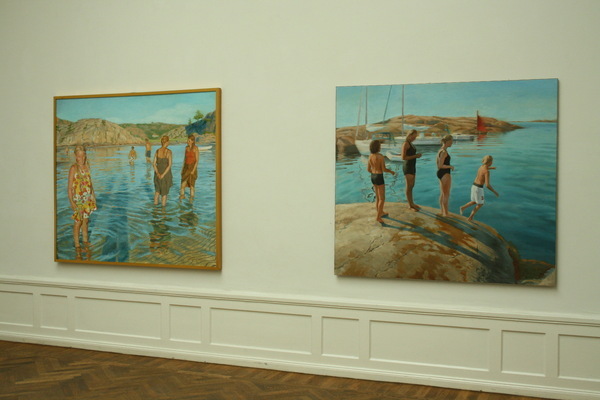 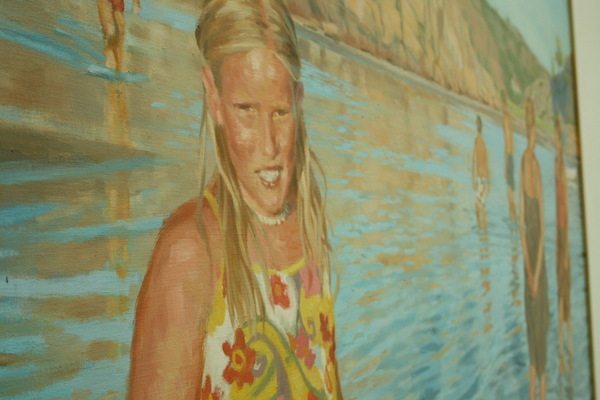 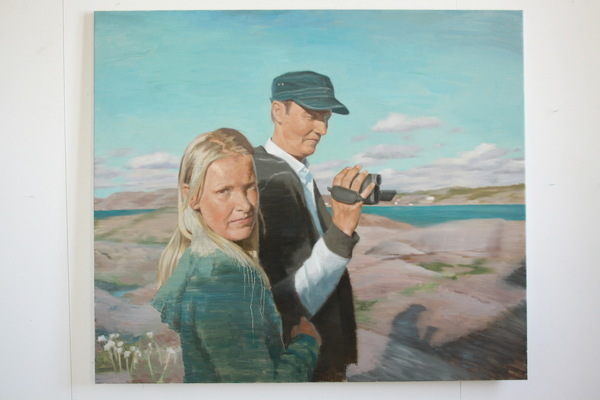 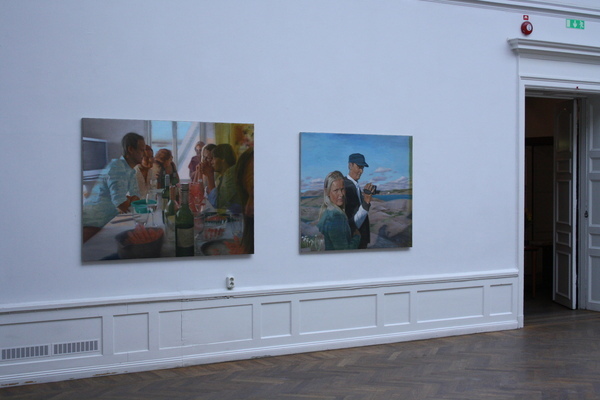 Part of "Girl with families at Stumpeskagen'. 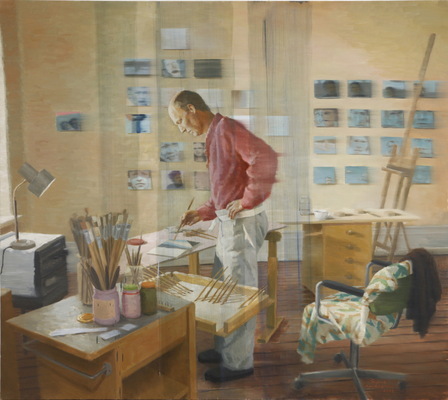 'Artist painting in the studio' - - 172 x 153 cm, oil on canvas. 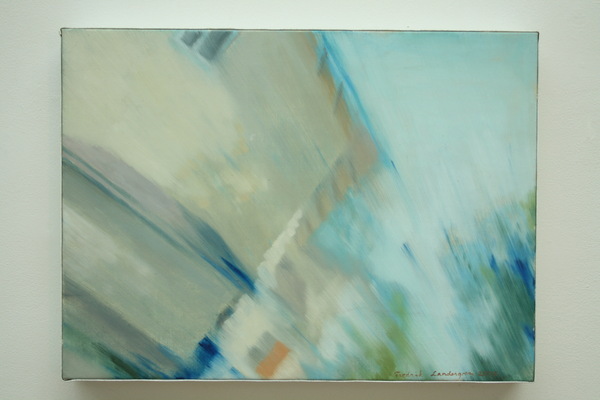 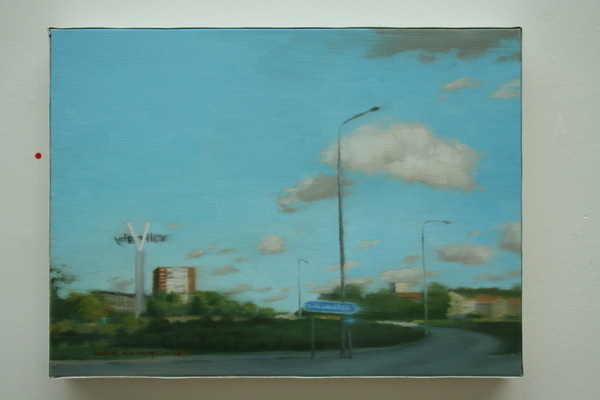 'Ballonview over Sickla' - - 225 x 200 cm, oil on canvas. 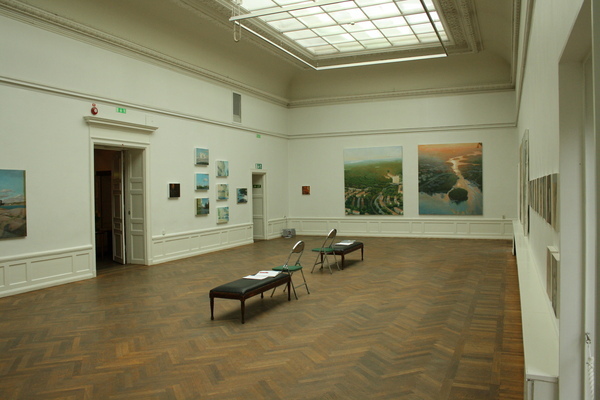 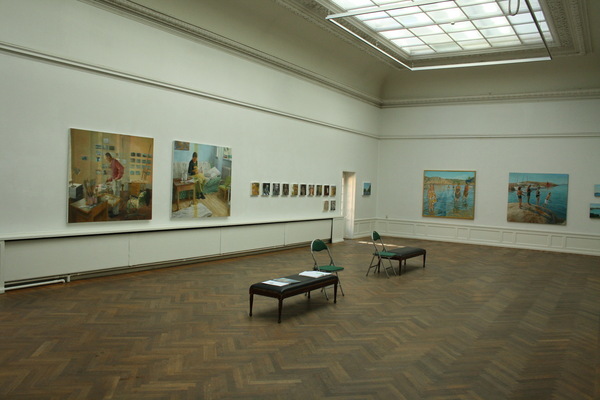 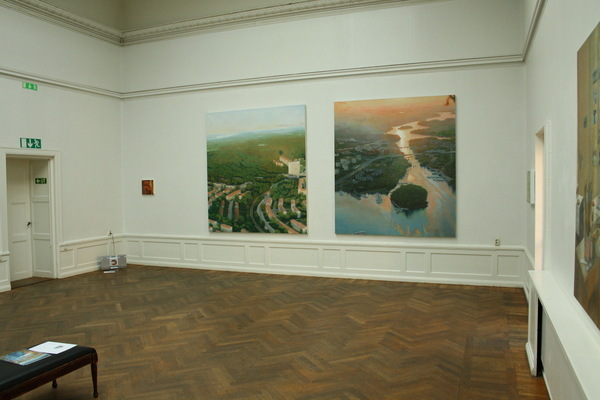 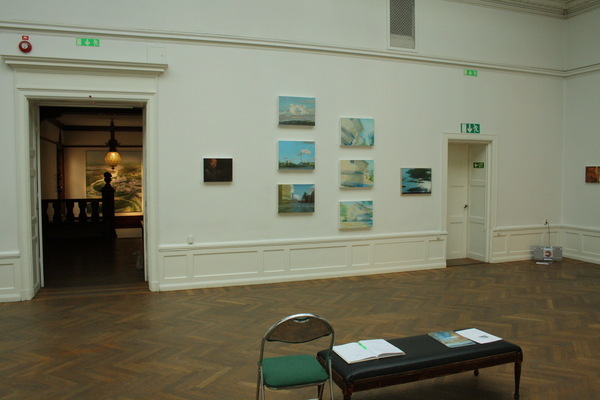 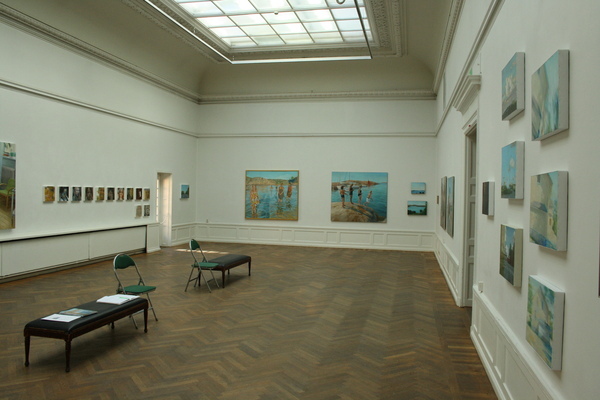 Long wall of Stora Galleriet. 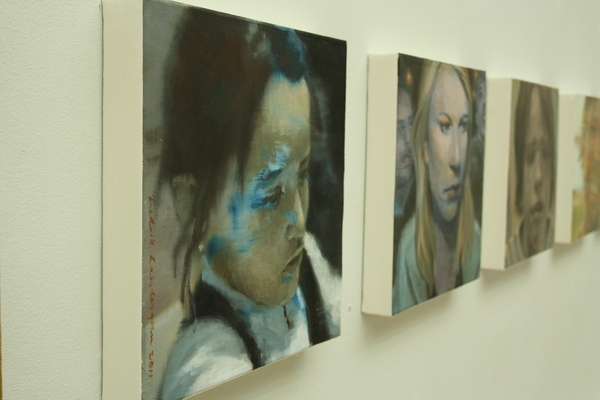 Part of the row of 30 x 30 cm face paintings, oil on canvas. 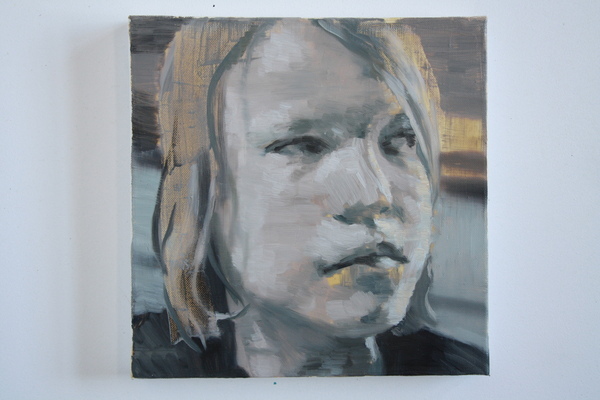 'Kimberley' - - 30 x 30 cm, oil on canvas. 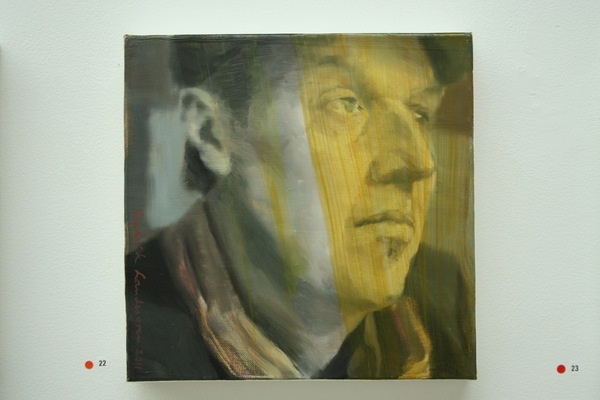 'Boy looking right' - - 30 x 30 cm, oil on canvas. 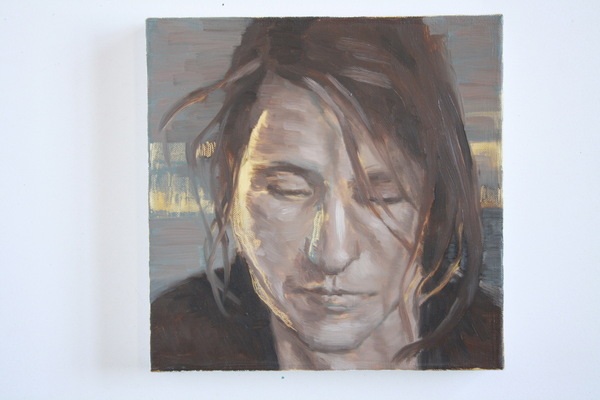 'Serious Woman' - - 30 x 30 cm, oil on canvas. 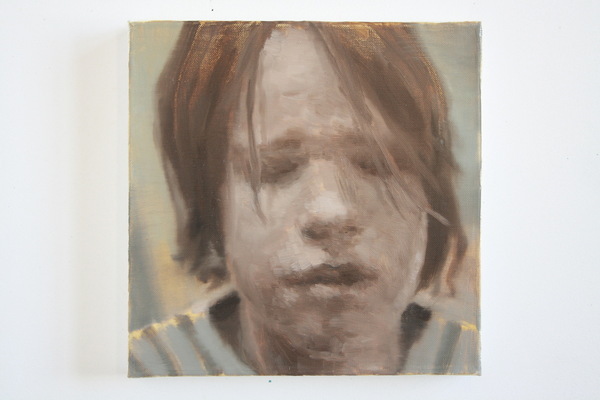 'Boy face' - - 30 x 30 cm, oil on canvas. 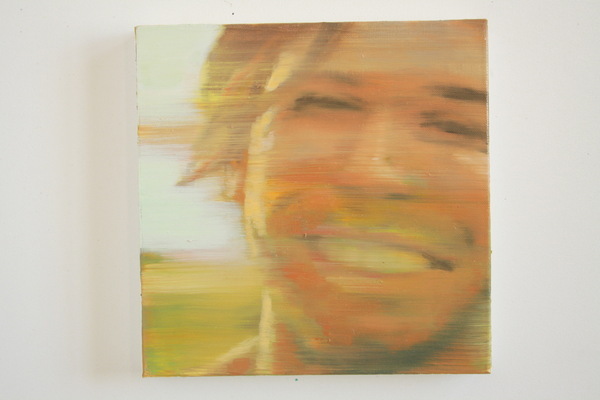 'Happy' - - 30 x 30 cm, oil on canvas. 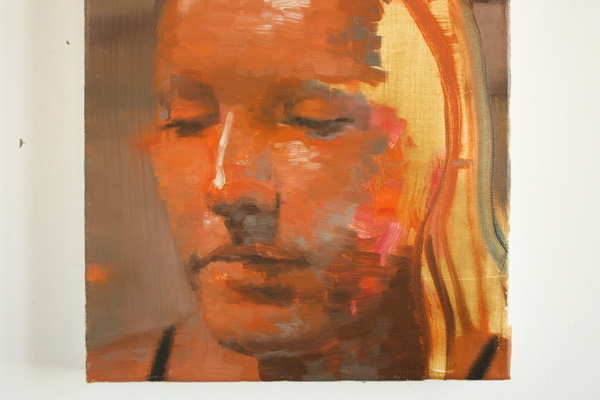 'Young woman with inner light' - - 30 x 30 cm, oil on canvas. 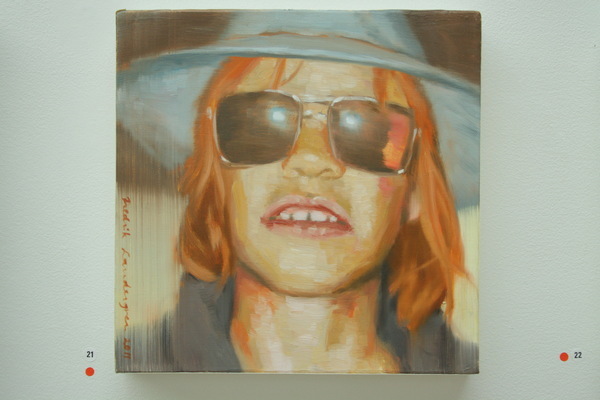 'Boy with sunglasses' - - 30 x 30 cm, oil on canvas. 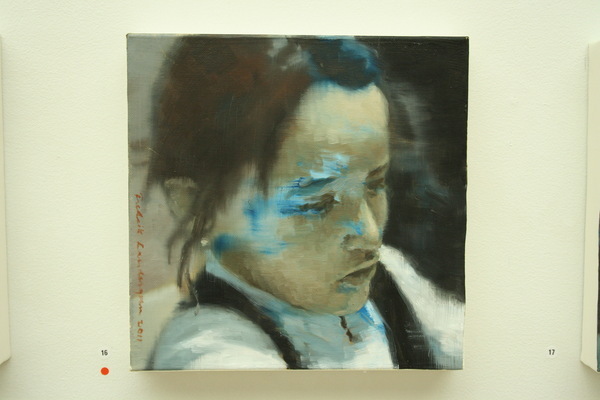 'Young girl' - - 30 x 30 cm, oil on canvas. 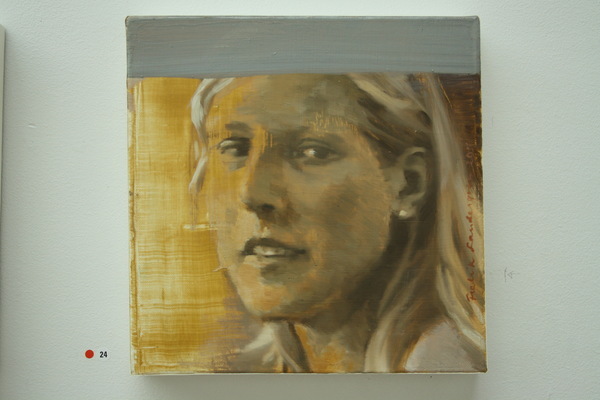 'Selfportrait' - - 30 x 30 cm, oil on canvas. 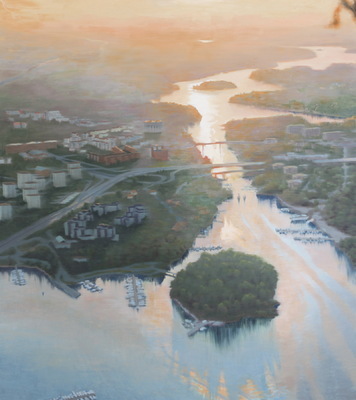 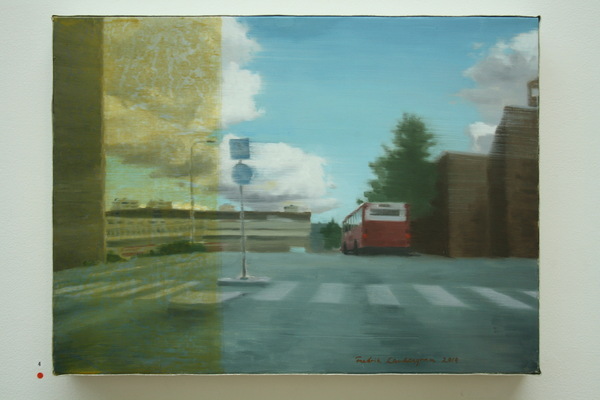 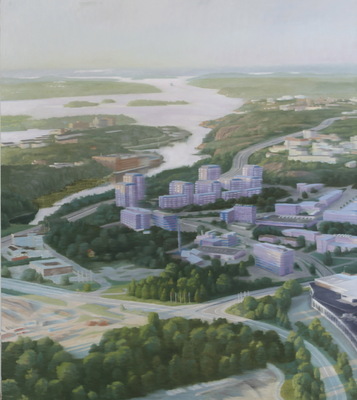 'Sunset over Stocksundsbron' - - 225 x 200 cm, oil on canvas. 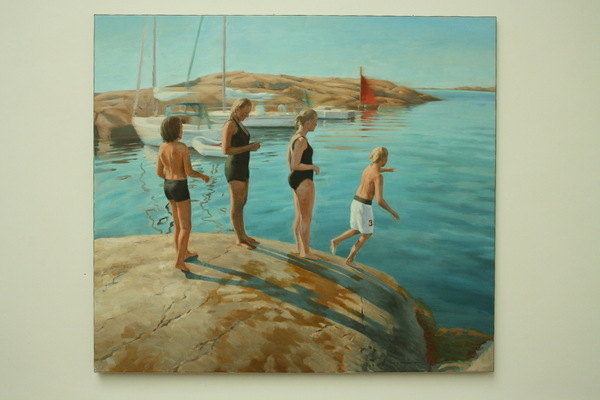 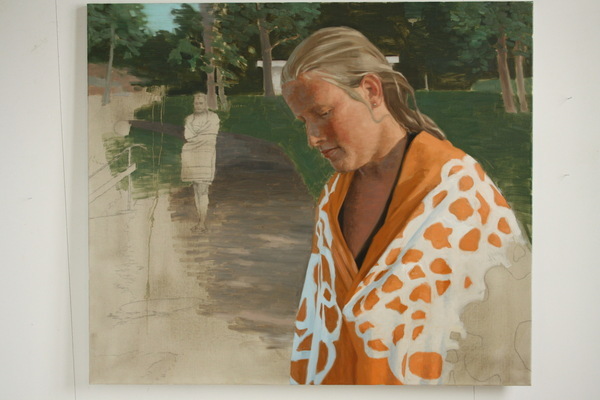 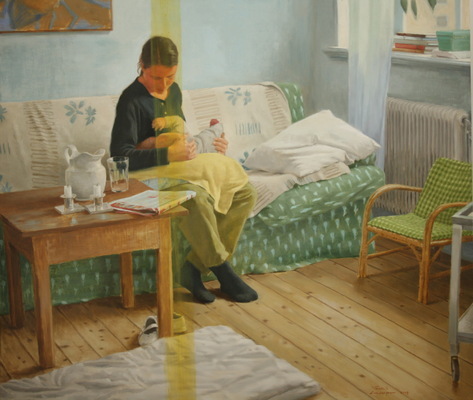 'Girl with families at Stumpeskagen' - - 173 x 152 cm, oil on canvas. 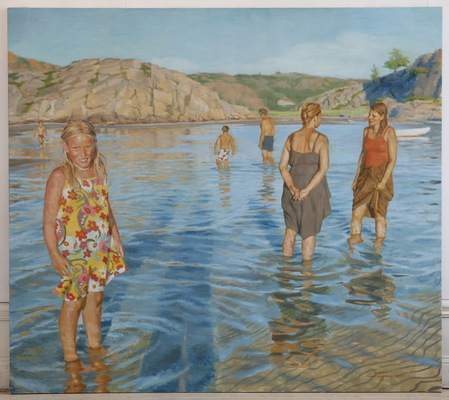 'Bathers at the rocky island' - - 173 x 152 cm, oil on canvas. 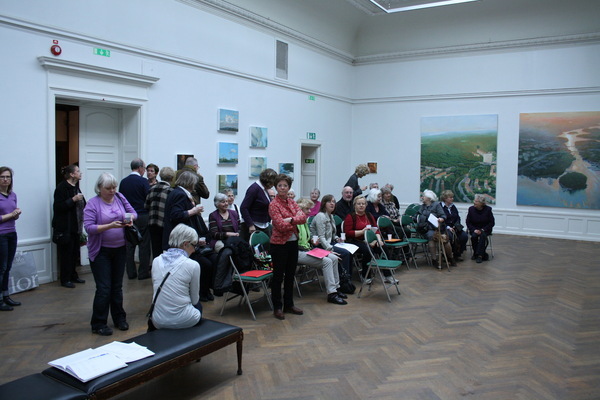 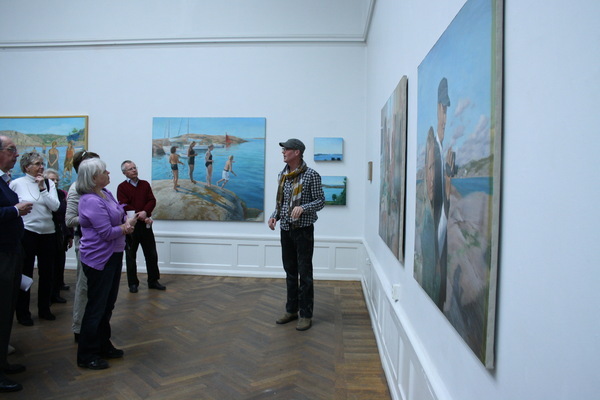 A guided tour for Konstnärshusets Vänner. 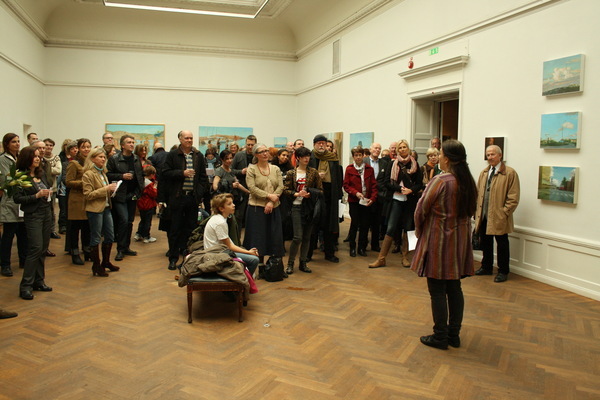 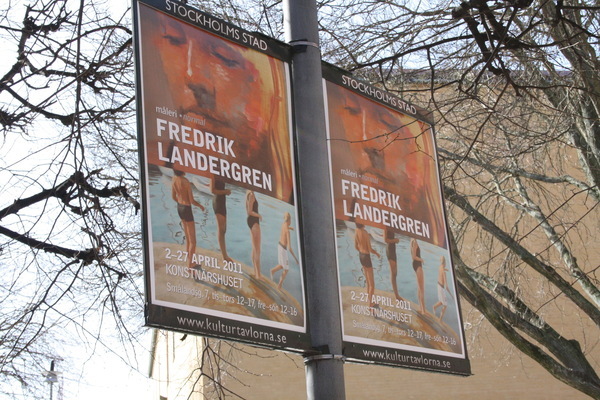 On vernissageday 2 april 2011, Svenska Konstnärernas Förenings chairman Annika Heed held one of the speaches.